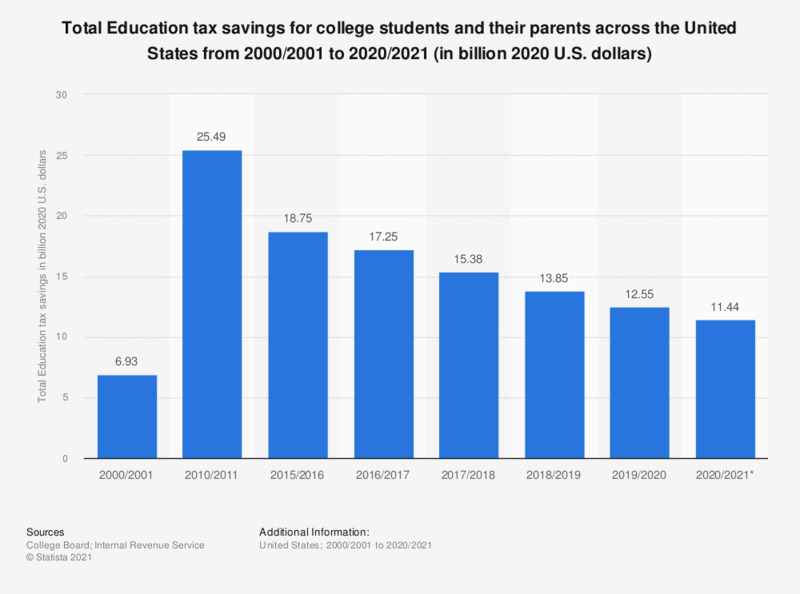 This statistic shows the total amount of education tax savings across the United States per tax year from 1998 to 2016. In 2010, the year after the American Opportunity Tax Credit (AOTC) was introduced, the total amount of education tax savings stood at 22.4 billion 2016 U.S. dollars as compared to 7.1 billion in 2008, before the tax credit was introduced. In 2016, the total amount of education tax savings was 16 billion 2016 U.S. dollars.